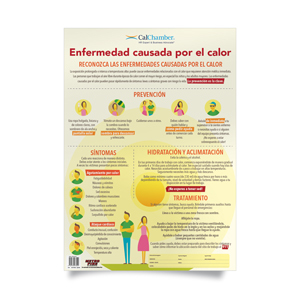 Pamphlets kit contains 20 copies each of the six required pamphlets. 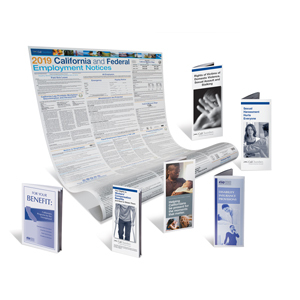 Updated Pamphlets Required for March 2019: Effective March 2019, the EDD issued mandatory updates to the Paid Family Leave and State Disability Insurance pamphlets. 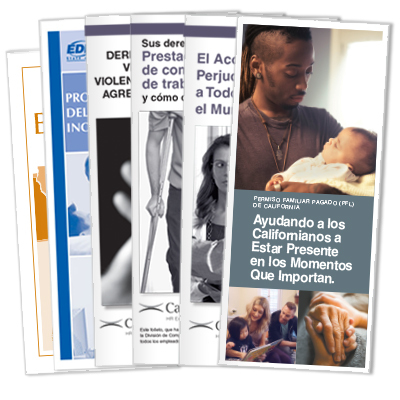 Individual pamphlet packs for the other four pamphlets are available online or by calling (800) 331-8877. 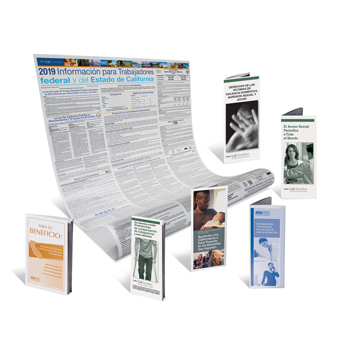 Each kit contains 20 copies each of the six required pamphlets. 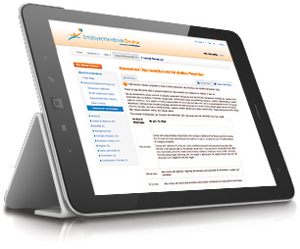 You’ll need both the English and Spanish kit versions if you have Spanish-speaking employees. 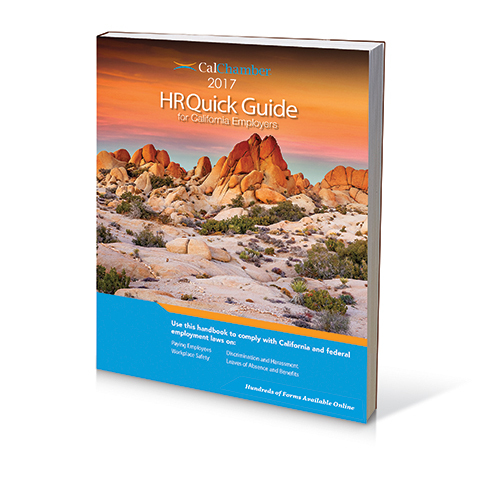 Employers must inform employees at the time of hire of their right to a harassment-free workplace, and provide a harassment complaint procedure. 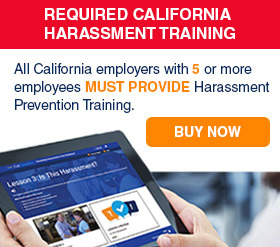 Distributing these sexual harassment pamphlets could protect you from a devastating lawsuit. 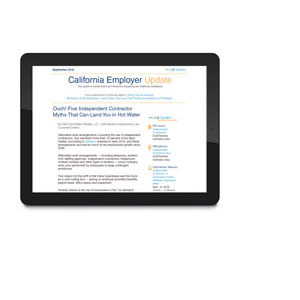 Employers are required to give a Workers' Compensation pamphlet to all new employees. It should be readily available without them asking you or another supervisor for the pamphlet. 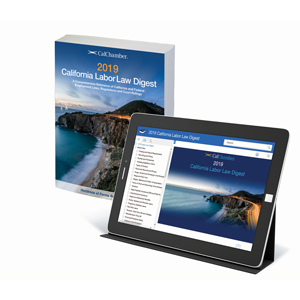 Information in the Paid Family Leave (PFL) pamphlet is required by state law and must be provided to all new employees AND employees taking a leave of absence for a reason that may entitle them to PFL wage replacement benefits, such as caring for a seriously ill family member or to bond with a new child. The Rights of Victims of Domestic Violence, Sexual Assault and Stalking pamphlet describes protections for employees who are victims of domestic violence, sexual assault and stalking to take time off for legal proceedings; the right of victims to take time off to get medical attention or services if your company has 25 or more workers; the right of victims to request reasonable accommodation to make sure they are safe at work; andprotections against discrimination and retaliation.